SB Hydraulic Breakers – 25 years old solid body and a reliable soul.  Introduced 25 years ago, the unique “solid body” concept utilises a patented internal component design that integrates the percussion mechanism and the guide system into a single piece, eliminating the weakest components of traditional breakers. The result is outstanding durability. Epiroc’s SB range are perfect for demolishing light concrete structures and sphalt pavements, both outdoors and indoors, performing earthworks, scaling in underground operations, and cleaning ladles and converters in foundries.